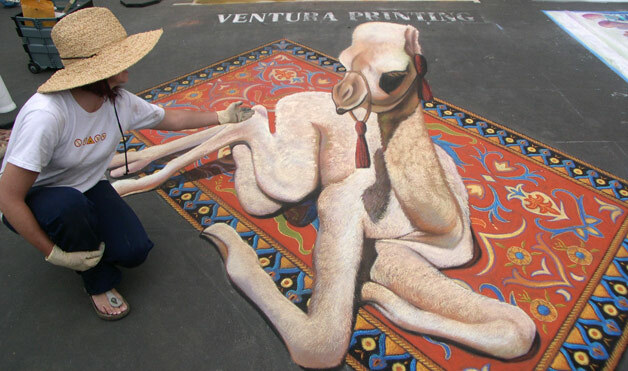 Inspired by traditional desert culture she encountered during her travels in the Middle East, Stum completed this 12' x 12' mural in two days for 2008’s I Madonnari Italian Street Painting Festival in Santa Barbara, California. The carpet design mimics the traditional "kilim" style popular throughout the region, she says. Photo courtesy of Tracy Lee Stum.